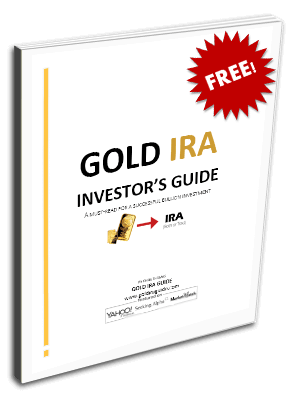 Precious metals IRAs which contain palladium are occasionally known as a Palladium IRA. These retirement vehicles permit you to invest in all four kinds of the precious metals, gold, silver, platinum, and palladium coins and bars. The key is that not all types of palladium may be inventoried within your self directed IRA. This is because the Internal Revenue Service, or IRS, has spelled out rigorous and particular requirements for the kinds of palladium coins and bars which an IRA is allowed to contain. The unfortunate truth is that a number of popular and interesting bullion coins and bars may not be kept in these retirement accounts just because they do not measure up to the IRS and its stringent purity level requirements. The most important rule concerns the IRS-set standards of purity for palladium kept in an IRA account. These regulations mandate that every palladium coin or bar contained within the IRA itself must demonstrate a purity fineness of .9995. The investors have to keep the palladium which is in their retirement vehicle in an IRS-approved third-party depository. These vaults prove to be extremely safe and protected storage facilities for holding precious metals. The majority of bullion dealers which partner with the various self directed IRA custodians also use one or even both of the main depositories, Brinks Global or Delaware Depository. A custodian which is qualified for IRAs has to be appointed to be the account's trustee. You can pick from a reputable broker/dealer who partners with one or several custodians in order to assist you with setting up and filling the IRA account with the allowable palladium bullion. Besides the coins listed here, there may be other coins which do meet the minimum purity standards and are struck by a qualifying national government mint. Some of these could be eligible for IRA account inclusion. In case you already own a precious metals IRA and you are seeking out palladium coins to purchase and inventory, it is most critical that you opt for the legal bullion for your IRA vehicle. This means that you should stay away from collector coins, commemoratives, and numismatic issues. In fact the majority of these are not only disallowed from an IRA retirement account, they are also egregiously overpriced. When you begin investing in palladium IRAs, it is critically important to know which coins you will not be allowed to hold in the account. In a way, this is as important as learning which coins are permissible. Here is a list of palladium coins which are not allowed to be inventoried within a precious metals IRA account. Besides the coins listed above, it is important to avoid any collector coins, commemoratives, or numismatic pieces. Such coins may be beautiful, but they will not be accepted by the IRS as IRA-grade investments, plus they carry unreasonably excessive premiums. You should know that there are sales representatives who will attempt to talk you into purchasing these “limited edition,” “scarce,” and even “unique” coins. The truth is that they are so highly marked up that precious few of them will ever command the premiums which you must pay just to acquire them. Choosing to invest some of your self directed IRA account funds into palladium offers you several benefits. These accounts will not be denominated in dollars as would another 401k or other form of American retirement vehicles. This means that the continuous decline of the U.S. dollar will not negatively impact the value of the palladium you keep within your IRA. The opposite is true in fact. As the dollar depreciates, this urges numerous investors to look to palladium, gold, silver, and platinum as a way to safeguard the value of their wealth against inflation and depreciation. Such actions force up the prices of palladium and the precious metals. Investors in precious metals IRAs benefit intrinsically from this proven and long-standing correlation. As the dollar value declines, the price of palladium and the other precious metals increases. The second main advantage to placing a part of your retirement savings into a vehicle which can protect against inflation and devaluation is that it provides you with the opportunity to make a significant return on the investment over time. There are analysts who believe that gold and the precious metals like palladium are heading much higher over the coming decade. This is more likely still for palladium which, like platinum, is far rarer than gold.